Going to Milan? Don't Miss the Duomo! When I was a child I used to constantly look over the many pictures of Italy that my father took while he served in WW II. The one that stood out most was a picture of the Duomo in Milan. As a child I marveled at the architect and thought someday I am going to Italy to see that. Years passed and my passion for visiting Italy grew and finally, better late than never, I did manage to take my first trip to Italy and I was hooked. So much so that I created Gourmet Getaways. Through the years of working with clients and putting together their itinerary I would suggest to them that they visit Milan and many of them had no desire. They felt Milan was too industrial and chaotic. Well, two years ago I decided to take the family to Italy and travel to the northern parts, so we landed in Milan. 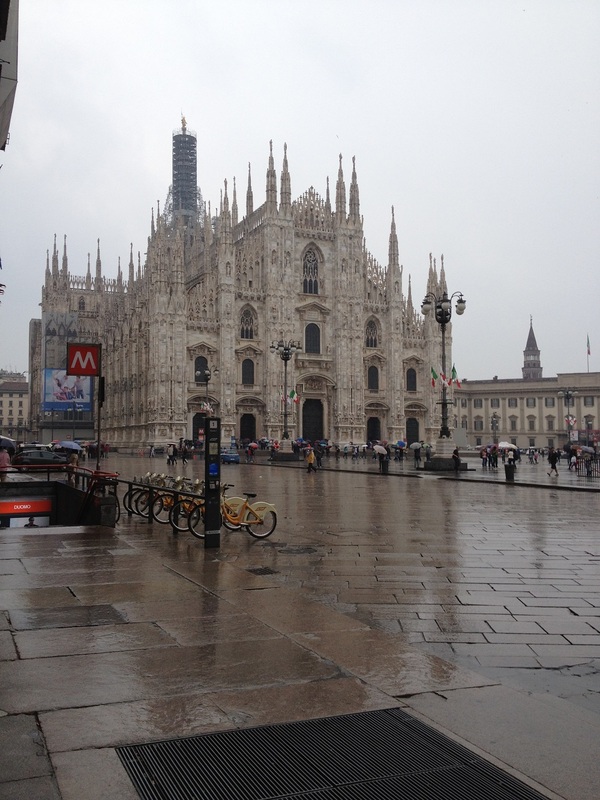 As we were having the driver take us to Verona I decided that we had to stop to see the Duomo in Milan. Why anyone would bypass this magnificent wonder of the world I have no idea. It truly is something that should not be missed. At this point this is all we had time for and we got back in the van and headed to Verona. Since I decided at the last minute to see the Duomo I could not secure tickets to see the Last Supper this time! Last year I was approached by a well satisfied client who asked me if I was considering creating a tour of Northern Italy and by chance I was. So I have created a wonderful tour and we are set to go in a few weeks. Cannot wait and of course I have included a visit to the Duomo. I have also secured tickets for everyone to view the Last Supper. So remember: Put the Duomo on your bucket list for Italy!